Have you noticed that some businesses simply hit the nail on its head when it comes to attracting capital funding? They seem to be operating on the perfect game plan, with great products, impressive numbers and promising profit margins. So, how do they do it? Well, in today’s post, we are sharing a list of tips compiled by our market experts to help you join the league of entrepreneurs, who have made it big. For any business to stand out in an organic fashion, you need networking. Meeting with the local bigwigs and mixing up with the local startup community is a great place to start. Once you become recognizable within a crowd, it is time to hone the art of organic soft-selling. Never push your way through, rely on your social capital to do the work while pitching your ideas. The second thing you need is results as a proof of success. Results can be either in form of customers or in profits. But if you are just starting up, it is less likely that you will have a profit sheet to share, so, rely on real, paying customers to impress potential investors. Here, focusing on getting customers who will not require huge outside investment should be your priority. Never seek investments first and customers second. Cold calling investors and asking for their money is never a good idea. Once again, rely on your networking and arrange meetings, asking for advice or discussing a particular problem point. Asking for genuine help is the best way to have someone interested in your project and may eventually attract more investment than you can ever get from a cold call. Investing in your company is ultimately a means to an end for the investor. So, instead of just showing them the vision, also prepare a pitch for return on their investment. Show them how they are going to earn back their capital and more by investing in your enterprise. If you can include a timeline in the pitch, all the better for you. Startup accelerators provide mentor-ship opportunities that can help a new business with organisational structuring, operational management and more. While joining a startup accelerator is not a guarantee of getting investment, it is another platform where your enterprise can gain crucial exposure and visibility. It may seem like a chore once you have been told to revise your numbers or strategy by an investor, but if you do commit to it, make sure that you follow up. Fundraising is not a quick process, the investors vet your credibility before putting their money in your business. So, provide proof of your seriousness to make sure that the deal you are offering makes sense to them. If you say you are going to do something and go ahead and do it, everyone will want to work with you. Nowadays, a lot of startups are getting help from FinTech lenders. These non-banking financial companies offer small-ticket finance for small and medium business owners all over India. A business loan can help you streamline your finances and keep a ready stock of inventory to acquire more customers in a short span of time. Moreover, a business loan will also improve your company’s credit rating and thus, your market standing. All these are numbers which impress and attract investors. FinTech companies also offer quick business loans that do not require a ton of paperwork or financial history, which can be ideal way to finance your budding enterprise and make it ripe for picking by Angel Investors. For example, you can get a business loan of up to ₹ 1 crore from Lendingkart at competitive interest rates and flexible EMIs for up to 1-year duration. Lendingkart also offers auto-renewal of business loans upon full-repayment, which can act as source of funding in itself if you plan to expand gradually. Great products and services may not always sell because money is needed to bring them into mainstream. Investment helps in establishing the tertiary systems that make up a successful organisation. Too many people with great ideas fail to achieve deserved success because of trying too hard to reinvent the wheel, so do not follow the crowd when seeking investment. Focus on your product, your customers and your network, and the bigshot investment will come to you. In the meanwhile, keep stacking up those numbers with business finance. Most of the times, businesses that go into insolvency are taken by surprise on the suddenness of the event. It happens because most small and medium businesses are focused on day-to-day operations and fail to realize that there is something wrong with the larger picture. So, when the hammer finally falls, everyone is surprised and of course devastated by the blow. While all business owners face challenges at one stage or another in their career, there are some telltale signs that can alert you about big financial troubles. Recognizing these signs also allows them to take corrective actions in time to salvage the situation. 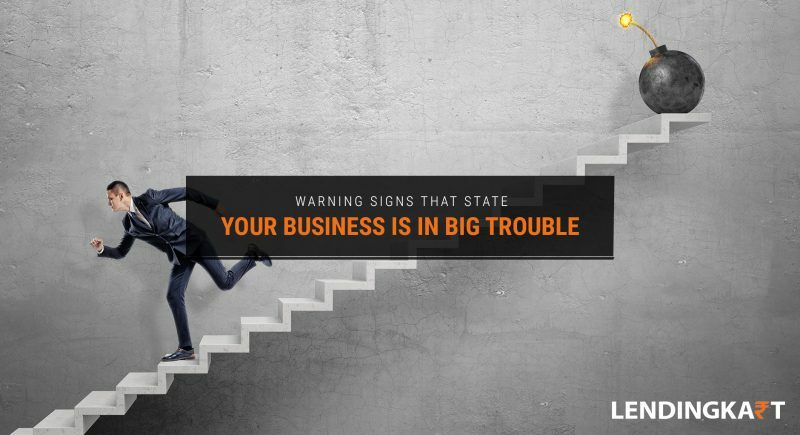 In this post, we are sharing the six things that can be a warning that your business might be in trouble. Difficulties in raising a new business loan: One of the very first indicator of upcoming financial trouble is the failure to secure a loan or fresh round of financing. If your latest business loan application has taken way too long in processing and eventually gets denied, it is time for some introspection at your SME. Lenders have pretty stringent due diligence processes and may be able to see the problems which you might have overlooked. Sometimes a lender, such as a bank, may tell you that everything is fine and to apply for a business loan again after a while. This happens because the lender does not want to push away a potential customer in hopes that you may be able to sort out the business troubles and will then apply for a fresh loan. So, never take such verbal communication for granted as it is still not a firm commitment. Lack of investors or buyers for your company: If you have been trying to sell your business through equity or direct buyouts and fail to find potential buyers, again it is a sign of troubles in your financial and operational situation. Just like financing, potential buyers also have stringent due diligence and value a business based on parameters which may not match with your internal estimations. Furthermore, sometimes a business owner in search for a buyer ends up neglecting the running of the business in the short-term. Which can significantly damage the immediate prospects of a sale and also brings down the value of the business. Frequently missing major milestones: As mentioned earlier in the article, every business has its problems and hiccups at some point, but if problems have become a norm at your establishment, it is time for checks and balances. Taking a look at the last one or two years of operations and doing a fair analysis of where you should be versus where you are may help in identifying problems in sales, product development, supply chain, working capital finance, etc. Whatever it may be, you must come up with a steady plan to overcome the problem because investors, lenders and buyers are seldom interested in excuses. Discord at the top-tier of management: The C-suite as it is generally called, is the top rung of your establishment. It is here where all the planning and overseeing happens. Sometimes, discord amongst the C-suite employees or surprise departures may also be a sign of things not going well at the company. Someone might have figured out that all is not well and has simply abandoned the ship as it begins to sink. So, whenever you lose a high-ranking employee do not just get into hiring mode, look for the reasons behind the exit as well. Accounts payable are way above normal: Accounts payables are one of the best ways to determine your company’s financial and operational health. Your accounts payable let you know about the state of your cash flow. If they keep stacking up, it means you are not generating enough inflow to be able to pay-off the debts, which is never a good sign. Very short operational runway: Lastly, most companies overestimate the time that they have got to sort out things. If your operational runway has less than six months remaining, it is a huge red flag and might even be a point of no return for your business. Having six months of cash runway is the minimum you need to get things to work again, if the cash stock falls below that, it is time to weigh your options seriously. If your business displays any of these warning signs, moving as quickly as possible towards a backup strategy should become your focus. If the problems are in operations or supply chain, it is time to give your teams a rap on the knuckles. Streamline your operations by cutting down manufacturing, downsizing or hiring experts. If the problems are with financing and you are having trouble raising fresh finance from the banking system, perhaps it is time to look at the ways of alternate finance for small and medium businesses available in the market. For example, FinTech lenders like Lendingkart Finance offer short-term business loans to help businesses in managing their working capital. By applying for a working capital loan for your business you will be able to free up the cash at bank for capital investment and restructuring of your enterprise. Hence, taking correctional measures and day-to-day operations can go on simultaneously. So, consider taking a business loan from non-banking financial companies if your regular lenders are showing reluctance. 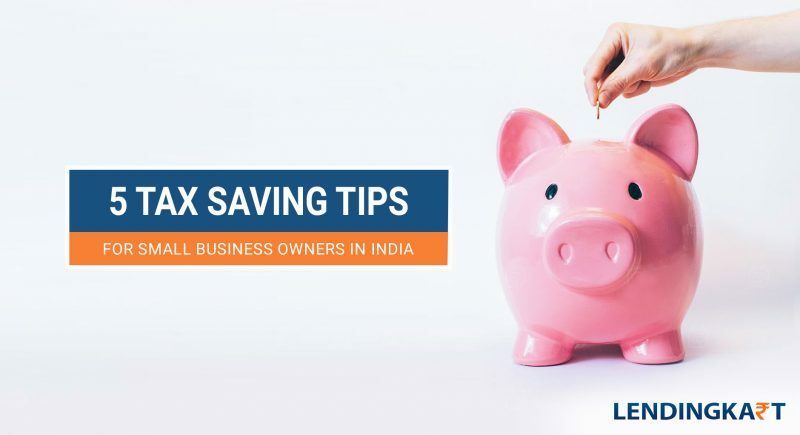 Non-banking financial companies like Lendingkart also offer several other benefits like lower interest rates, flexible EMIs, zero-prepayment charges, and instant loan renewals that will help you get back on your feet. So, do not wait before it is too late, if your business is showing the signs of trouble, take corrective steps now. 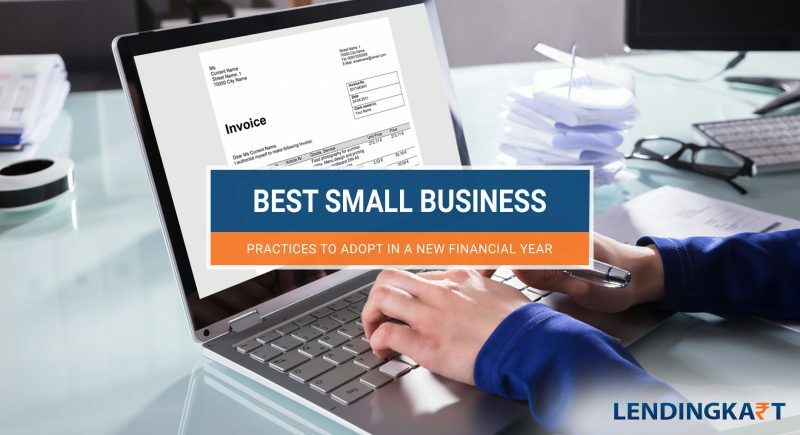 Traditionally, small and micro-business owners face a lot of hurdles when trying to raise cash from banks and other public institutions of finance. The bureaucratic and risk averse mentality of these institutions makes borrowing money difficult for upcoming businesses even if they have their finances in order. In such cases, a small business owner usually ends up selling some assets or private property to fund business growth. While a bank’s unwillingness to lend to a new and upcoming business is understandable in these times of financial turmoil and growing NPAs, it does hurt small businesses with potential for growth. The situation, however, has improved markedly in the last decade as non-banking financial companies have emerged as a source of alternative finance for small and medium enterprises. Nowadays, micro-businesses are also benefiting from short term, small ticket finance offered by these companies. Also known as FinTech, the NBFCs use a mix of financial products and IoT technologies to speed up the process of business loan approvals. 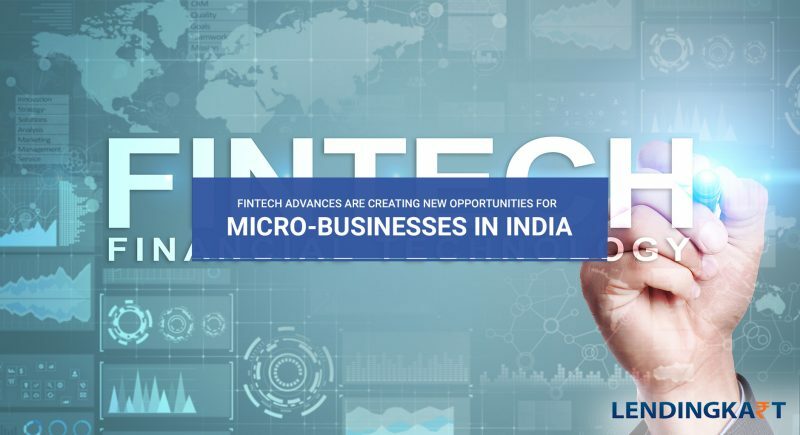 FinTech solutions today are benefit ting a growing number of small business owners, startups and freelancers in India and the world. Here are the things that make FinTech finance a veritable alternative to getting small business loans from a bank. Where banks generally have a limited number of products and services and operate on the principle of ‘one size fits all’, FinTech lenders are doing things a little differently. They are not only offering money that you can use to expand your business but also provide business consulting, foreign exchange services and have different types of business loans and services to best match your needs. Unlike traditional banks, the products and services of FinTech lenders do not focus on large corporations and rather are meant for SMEs. FinTech products like small ticket working capital loans are helping small business owners fill the gaps in their cash inflow and outflow. This has helped small business owners in taking advantage of sudden business opportunities that come their way. A report from the World Economic Forum has lauded FinTech as the enablers of global business environment for small businesses in developing economies like India. FinTech lenders are the first to realize that most small business owners are unable to get loans because of the collateral requirements of traditional lenders. A person who has just started a new venture is unlikely to have high-value assets to secure a business loan, which in turn limits his ability for growth. Also, spoiled by lending to larger companies, banks often do not see any benefit in small-ticket loans and categorically deny loan applications which do not meet their policy parameters. Here, FinTech lenders have come up with the concept of small ticket, short-term unsecured business loans. Now, small business owners can get short term business loans as per their own requirements instead of borrowing according to the lender’s perspective. For example, if a bank’s policy is to only approve business loans above Rs 5 Lakh, a small business owner with a requirement of just Rs 3 Lakh may also end up applying for a loan of Rs 5 Lakh. Which then he will have trouble repaying due to high EMIs. 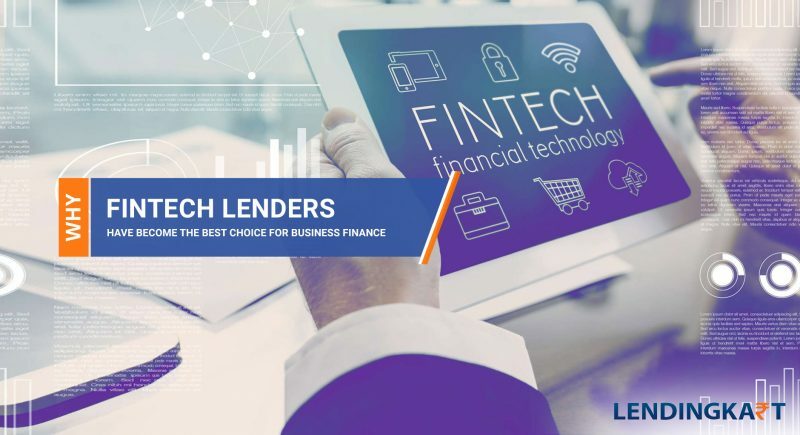 On the other hand, FinTech finance providers like Lendingkart are offering business loans starting from Rs 50,000 up to Rs 1 Crore for eligible loan accounts. Hence, providing flexibility and need-based financial services desired by small business owners. Loan amounts are not the only thing flexible about FinTech finance. Borrowing from an NBFC also gives business owners the freedom to choose their preferred EMI schedule or prepay the loan without hefty penalties. This makes renewing loan cycles easier and makes FinTech credit a type of revolving finance for working capital needs and capital expansion. On the other hand, banks usually have a fixed repayment cycle that disregards invoicing and sales cycle of a small business. Once again, a small business is better off borrowing from FinTech lenders like Lendingkart Finance who offer bi-weekly and monthly EMI schedules. Moreover, Lendingkart completely waives off prepayment charges if you decide to settle your loan in full. The advantage of FinTech finance does not end at the repayment of an existing loan. A business can re-apply for a business loan upon full payment of the existing loan and get an instant approval for the previously approved amount. This is one of the best ways to get small business loans time and again and not only helps your business growth but also contributes to a significant increase in your business credit score. There is no doubt that FinTech is one of the most transforming platforms for small business owners in the 21st century. By enabling quicker and easier credit, FinTech has provided much-warranted relief to SMEs from their age-old financing problems. FinTech has also helped cut down the informal credit market where private lenders are used to charging exorbitant interest rates (sometimes up to 36% to 48%) from unsuspecting borrowers, trapping them in vicious credit loops. The lower interest rate business loans and reasonable repayment time windows have helped many a small business owner in breaking out and earning their way to success. Ultimately, FinTech has become an important pillar of nation building in India where 45% of the GDP contribution comes from small and medium business industries. Due to its digital nature, it is a very transparent medium of finance as well, which has helped small businesses join the mainstream and become tax compliant. 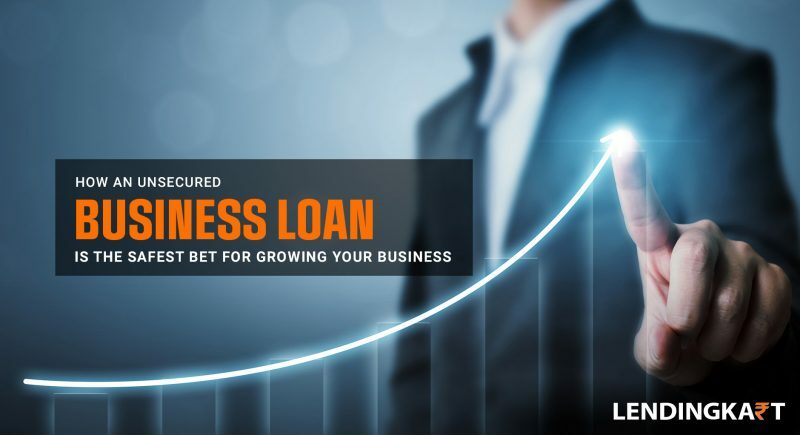 If you are looking for an Instant business loan or wish to know more about FinTech finance, visit us at www.lendingkart.com and have a look at our FAQs section. You can also contact us by dropping a mail at info@lendingkart.com. To apply for a business loan, simply check your eligibility and create a Lendingkart account to begin your loan application. Every day, the age-old stereotypes of India’s patriarchal society are being broken by enterprising women artists, business leaders and political personalities. The newfound institutional and social support has enabled aspiring women to come out and challenge men in almost every field. The small and medium enterprise industry is no different and many such businesses, helmed by women entrepreneurs, are leading innovation and giving stiff competition to their industry counterparts. However, India is still in early days of a social revolution that demands equal status for all genders. A women entrepreneur in India faces many challenges in starting and continuing her journey. In today’s post, we discuss the five key problems faced by business women in India. While India has become more open to working women in recent years, in most cases the acceptability still comes with a caveat. A working woman is expected to balance her time between household chores and her professional work in most families. This may not be a key challenge for educated young women in cities starting their own business but definitely pose a challenge for married women living in urban or semi-urban areas who discover their calling later in life. Another key challenge faced by women entrepreneurs is marketing and promotion of their startup business or SME. The matter is further complicated by the fact that online marketing and promotion has taken center stage in recent years. Since, IT is a male dominated field, women entrepreneurs often face competitive disadvantage when hiring online promoters and agencies to market their business. Be it leasing a space for running their business or making a deal for raw material supplies, most women entrepreneurs face heavy disadvantage and distrust when starting on their own. Once again, it’s the prevailing social bias and general misconceptions about work ethics of women that hinder their access to raw materials, labor and machinery. Therefore, in most cases, women entrepreneurs end up paying above the base rates for procuring operational resources and supply chain contracts. A major challenge faced by women entrepreneurs is securing funding for their small business. Here the issue is two-fold. The traditional banking system is still run by India’s lumbering bureaucratic system which is slow, biased and male dominated. 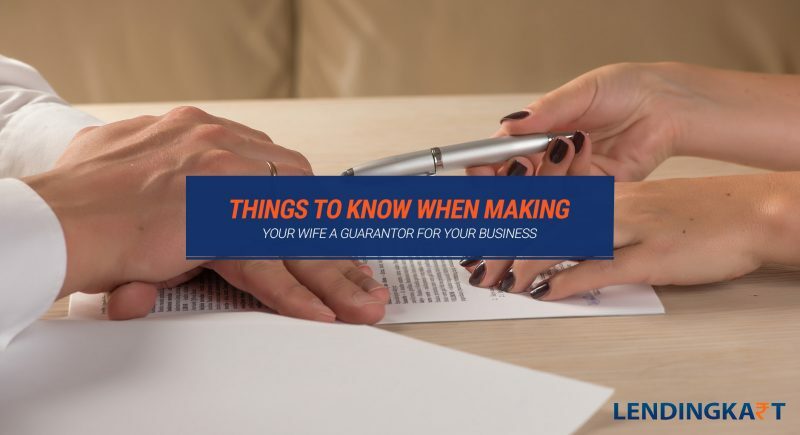 This makes it very hard for women entrepreneurs to secure funding from a bank as the ultimate power for approving a business loan rests with the bank officials. On the other hand, Angel investors and venture capitalists who fund startups and promising SMEs often balk at working with women CEDs and business owners. Even if they do agree to fund a small business run by a woman, they often try to take control of the company by creating proxy power centers in the company. As a whole this article may seem like a rant about women entrepreneurs not getting their due recognition because of the men. Well, it is the truth of the day. The key challenge faced by women all over the world and especially in patriarchal societies like India is the dominance of men. Women entrepreneurs face a lot of gender-based discrimination and harassment while working their way to success and these are not limited to the points mentioned above. Therefore, the existence of a biased social order is, without doubt, the biggest challenge faced by working women. At Lendingkart Finance, we believe in equality and adhere to the ethos defined in the constitution of India. Ensuring safe working environment for women and empowering them is a part of our vision and mission. One of the main reasons why women in patriarchal societies lag behind men is due to the lack of financial freedom. Here, at Lendingkart, we try to rectify that with our unbiased financial support system for small businesses which relies on business performance rather than social bias for granting small business loans. We have an online business loan application process which analyzes your business for performance and financial stability and gives instant loan quotes, regardless of your gender. To simplify matters further, we have kept the documentation requirements to bare minimum. Once again, document submission is also done online and our system allows you to track your loan application in real-time as we verify the information provided by you. If you are a woman entrepreneur looking for quick business finance to meet your working capital requirements or business expansion, Lendingkart can offer you a small business loan within 3-days of application. Furthermore, our unsecured business loans come with lower interest rates than many of the traditional banks and lending institutions out there. We also offer flexible repayment options such as monthly or bi-weekly EMIs that allow you to repay your loans easily. Lastly, a relationship with Lendingkart Finance also gives you the opportunity to connect and network with like-minded SMEs and startups to grow your small business. 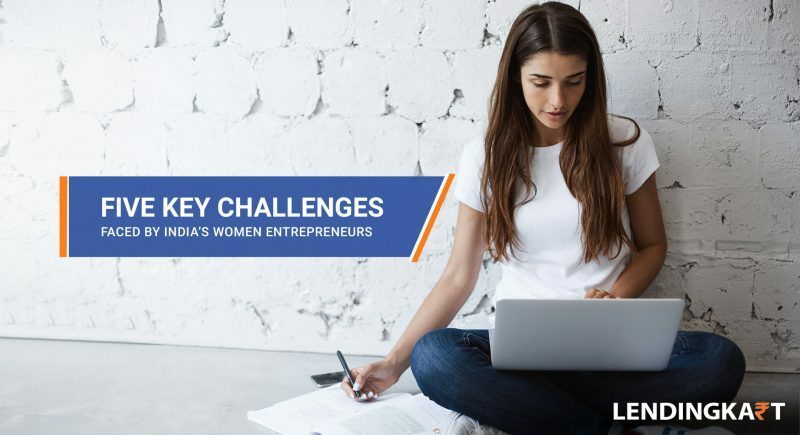 The business scene is still a tough place for women in India, but despite its hardships, enterprising women continue to find new ways to beat the odds placed against them. For the most part it is their own will power and vision that makes it possible for them to overcome the social and professional challenges; and in a small part it is the help from a younger, more open and pragmatic social and business order. WhatsApp has effectively replaced the traditional SMS in India. There are two primary reasons behind the platform’s success – a fall in mobile data costs and the advent of affordable smartphones. The success of WhatsApp eventually invited the interest from the American IT giants and soon after it was taken over by Mark Zuckerberg’s Facebook, another social media platform. Facebook had been promoting the social media for small business promotions for some time before its takeover of WhatsApp, and naturally the development veered towards creating a WhatsApp for Business. Truth be told, WhatsApp for Business is a more realistic social media solution for small business owners due to its real-time approach. 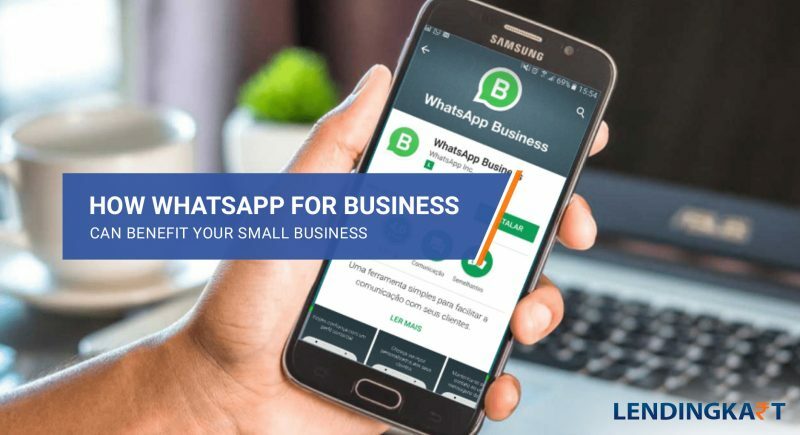 With WhatsApp for Business, small business owners can readily connect with their target audience, which is not the strongest point of a business profile on social media platforms like Facebook and LinkedIn. In saying this, we are simply pointing out the fact that those platforms are a little more niche for a small business owner still learning the ropes of digital marketing rather than condemning them. So, let’s have a look at the features that make WhatsApp for Business ideal for your small business’s growth. As is with the regular chat client, using WhatsApp for Business is totally free of cost. This gives WhatsApp for Business leverage over other social media tools for business promotion which often require payments for promoting your page. WhatsApp for Business also effectively replaces the SMS marketing which is costly and nowadays seems positively pre-historic. In essence, with WhatsApp payments system already in testing mode, WhatsApp for Business can replace the need of having a native app for many a small business in the country, thus earning finances rather than expending them. In today’s world, having a digital profile is essential for every business owner. WhatsApp for Business allows you to have a detailed digital profile containing information like your physical address, company email, phone numbers and social media links, without having to invest in a website or app. WhatsApp has a very stringent verification method as well. A green tick appears beside your business name only when the WhatsApp has verified its existence and credibility. This in turn cements the trust of customers in your brand. WhatsApp for Business comes with some business centric messaging options to ensure that you are always there for your customers. You can setup standard responses for frequently asked questions and send them to customers with a single tap of finger by using the ‘Quick Reply’ option in the app. A custom greeting message can be sent to new leads who connect with you on WhatsApp, telling them about the nature and salient features of your enterprise. Similarly, you can also set up a custom message for off-hours or when you are busy. All of these functions make your business seem more connected and personalised. WhatsApp for Business also includes handy data and analytics tools – features that we expect to become more extensive over time – and allow you to know exactly how many of your messages were read and responded to. With these insights, you can modify the content of your messages and target more relevant audience. Always using your smartphone to respond to customers and leads can be a chore in itself. If you are more comfortable using a traditional keyboard and desktop screen, WhatsApp solves that problem for you with the Web and Desktop clients for Windows and macOS. You need to have your smartphone connected to the internet in order to access the service but that’s all that is required. It is quite helpful if you are getting a ton of messages every day and need to reply quickly and more efficiently to the queries. All in all, WhatsApp for Business gives small business owners a platform for extending their reach without having to spend ridiculous sums of money on web development, mobile apps and assembling customer support teams. It also connects a business at a personal level with the consumer, and with a right agenda and marketing strategy, it can become a gold mine for acquiring new customers and leads. How an Unsecured Business Loan is the Safest Bet for Growing Your Business? When you are planning to raise short-term finance, an unsecured loan can be the best way to do so. The safety offered by an unsecured small business loan is one of its primary selling points. You are not required to put up equipment or property as collateral when applying for an unsecured loan. Notwithstanding the fact that most small businesses lack adequate collateral assets, the elimination of this requirement makes these small business loans more accessible for MSMEs. Moreover, the entry of NBFCs has further democratised the Indian small business loan market. New age lenders use the power of internet, cloud computing, big data and AI to process loan applications faster and with higher disbursement ratios than their banking counterparts. 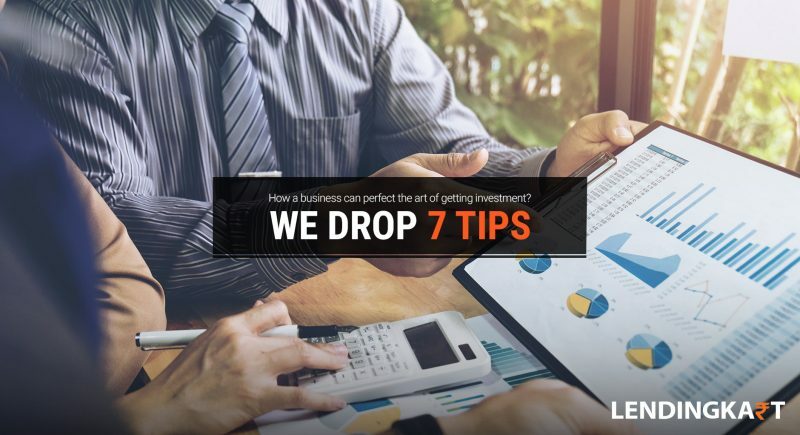 For example, applying for a business loan online with Lendingkart can get you the money in as less as 72 hours while a bank takes at least 7 days to process the same application. Here is how a small business loan helps in your company’s growth. Every business relies on operational stability to earn profits. A small business loan allows you to purchase raw materials, finished goods, or other items that you need to keep in ready stock. Furthermore, you can also utilise the loan funds to pay wages and salaries, and clear immediate bills and expenses. A small business loan also helps you in working capital management when your bills receivables get delayed or there are unexpected operational costs to be taken care of. By offering quick and easy liquidity, small business loans give businesses a way out from the vicious debt traps practiced by unorganised moneylenders. Now you can safeguard your bottom-line more easily with MSME loan funds without having to worry about long-drawn loan approval processes from banks. An unsecured business loan is not given against a collateral, therefore its value is not tied to the value of a fixed asset. You can get an unsecured loan starting from Rs. 1 lakh and go all the way up to Rs. 1 Crore to fit your business requirements. Small business loans from FinTech lenders comes with another plus i.e. the option to pay EMIs on fortnightly or monthly basis as per the loan agreements. So, not only can you get the loan funds quickly but you can also repay them faster to get another loan approved. For example, Lendingkart approves and disburses the paid-up loan amount without further processing charges or additional document requirements. An unsecured business loan is a short-term business loan, thus, lenders do not impose any restrictions on its usage. You can use the loan funds for any number of business activities which makes them excellent for boosting your working capital, business investment and marketing activities. What if you default on an unsecured business loan? Well, defaulting on the loan can ruin your credit score for starters. And, you might not get loan future loan approvals due to the bad credit history. Which in turn will make the loan repayment even more difficult. The lender may also file a lawsuit if all negotiations for repayment fail. However, in most cases the lenders will consider a revised repayment plan if you let them know of your financial difficulties in advance. Wondering where to apply for a business loan online? Click here to visit us at Lendingkart and start your first online business loan application.